As the nation’s children start scouring the internet for that perfect toy to top their wish list our latest Christmas advert shows how The Littlewoods Touch can make everyone’s Christmas wishes come true. This year we take our inspiration from one of the most important parts of any Christmas, the family trip to the Panto. We see as a family inadvertently step into the world of an Aladdin pantomime which gets transformed by the genie, played by Myleene, as she spreads the magic of The Littlewoods Touch. 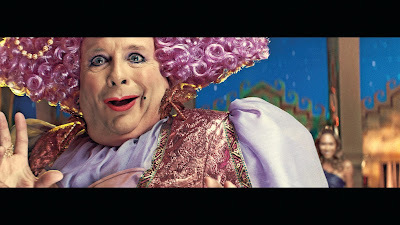 As well as Myleene Klass we also have an appearance from Pantomime legend Christopher Biggins who expertly plays the roll of the dame. You can watch the full 40” advert here which was directed by Michael Gracey with the help of the great team at Partizan. To learn a bit more about how it was made watch the behind the scenes film here which was made by our in-house director.